← Colin Firth Press Conference Interrupted with Phone Call That Samuel L. Jackson Answers! The Doctor Who TARDIS World Tour has officially kicked off in Cardiff Wales! 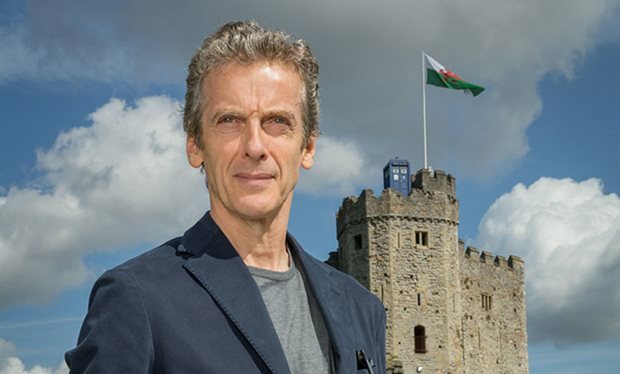 Peter Capaldi looked dashing as he posed in front of Cardiff Castle before meeting fans lucky enough to be present for this historic event! The NEW Doctor begins the seven city TARDIS world tour! Joined by Co-Star/Companion Jenna Coleman and showrunner Steven Moffat the sonic trio will attend the world premiere feature length screening of the Doctor Who Series 8 opener, Deep Breath, before hopping on the TARDIS and heading off on a seven city tour around the world! London will naturally be the first stop followed by Seoul, Sydney, Rio de Janeiro, Mexico City and New York! 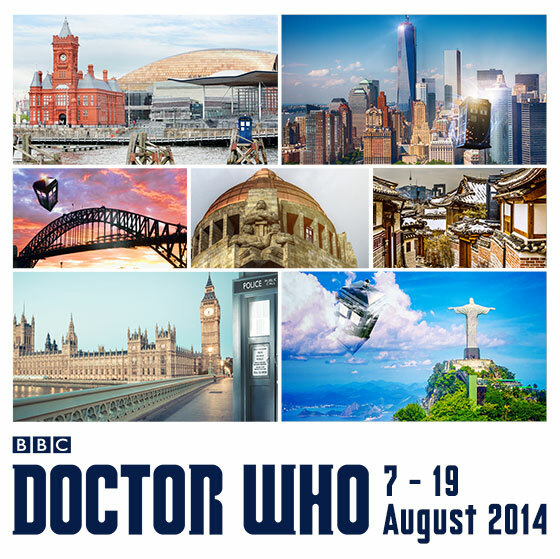 The TARDIS embarks on a 7-city world tour on Aug 7! For the rest of us mortals Doctor Who Series 8 will premiere on August 23 with showings in select cinemas as well! This entry was posted in Home Page Posts, Lady Anglophile Reviews & Other Bits and Bobs and tagged Doctor Who, Peter Capaldi, TARDIS World Tour. Bookmark the permalink.